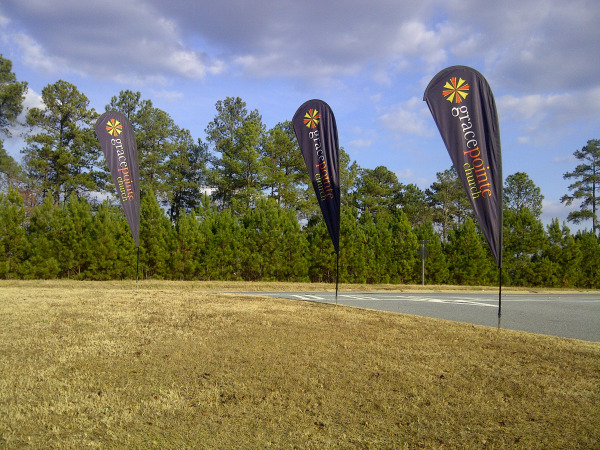 Signs & More manufactures flags for businesses, churches, schools, etc. 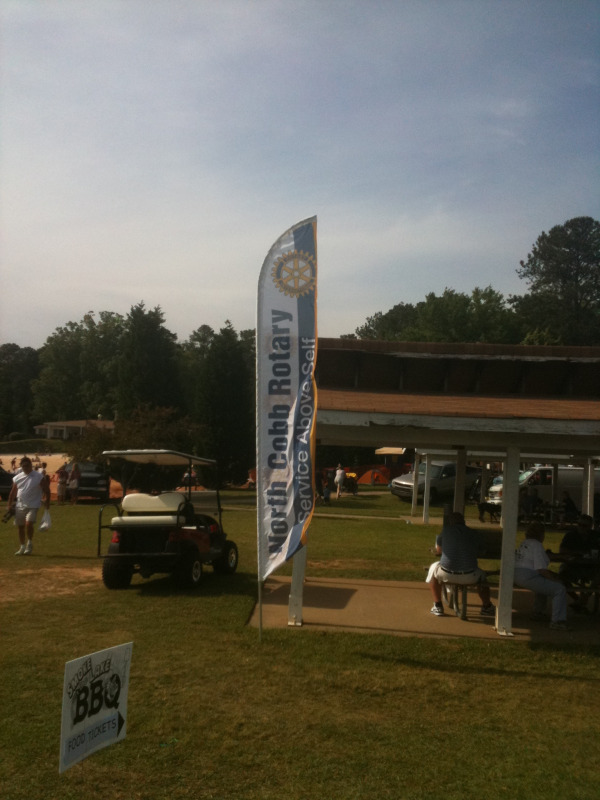 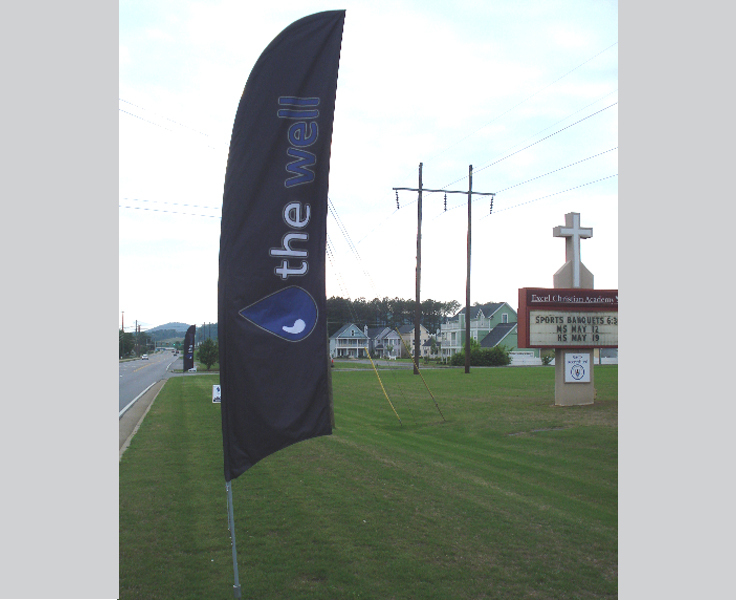 Bow Flags or Feather Flags are curved at the top and are great attention getters. 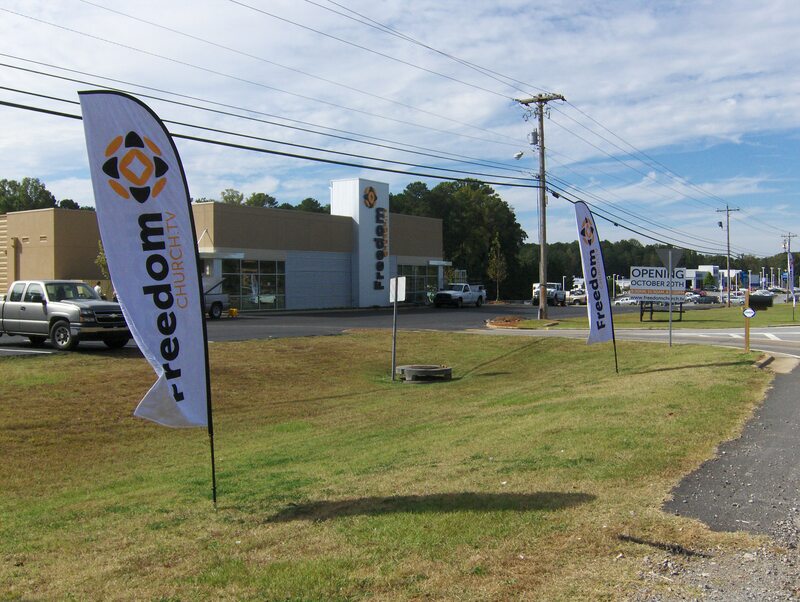 Company Flags can hang on a pole their own poles or with the American Flag. 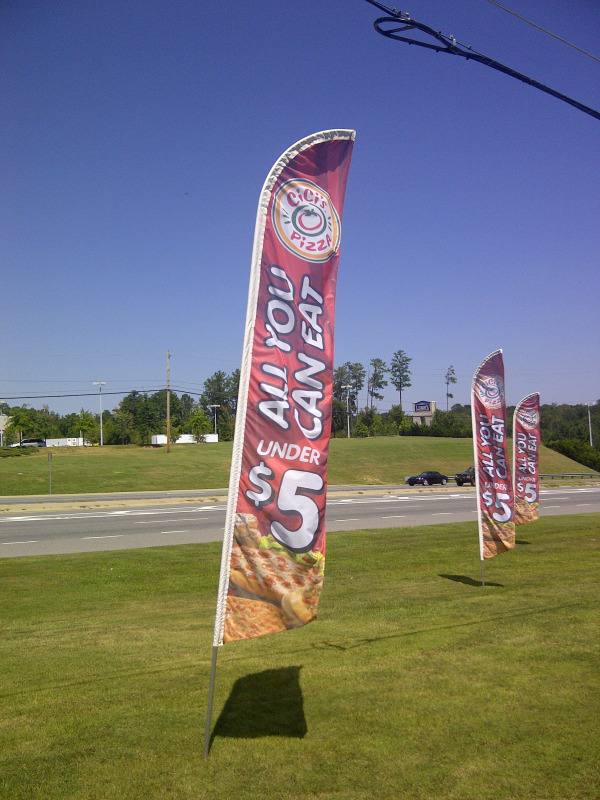 They just need to be smaller and lower.